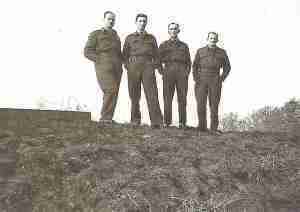 Taken from Muir Adair’s collection, this photo of the 4 senior NCOs was taken in late 1944 just before GCI 15082 disbanded. Muir Adair is on the far left, Johnnie Humble is second from the right. If you recognise either of the other men, please let us know! 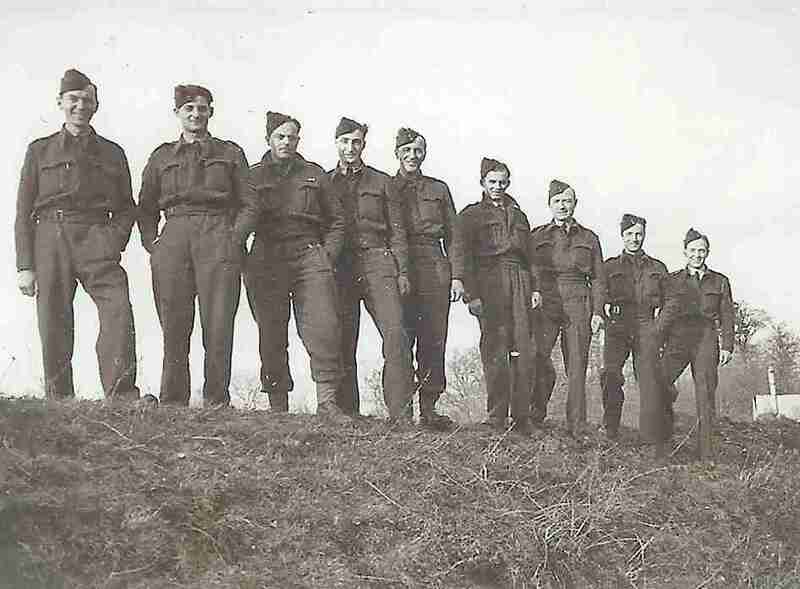 A photo from Muir Adair’s collection, the 15082 Corporals, probably taken in late 1944. 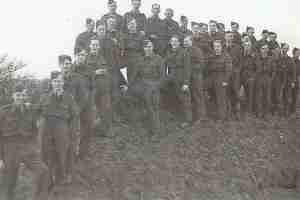 Can anyone identify any of the men? 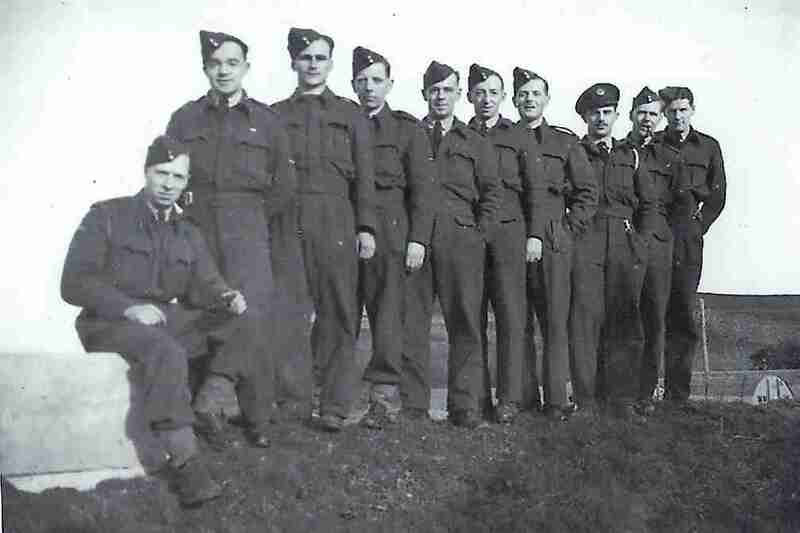 Another photo from Muir Adair’s collection, taken in late 1944, Jock Reid is second from the left. Muir cannot recall any further details of this photo. Can you help? 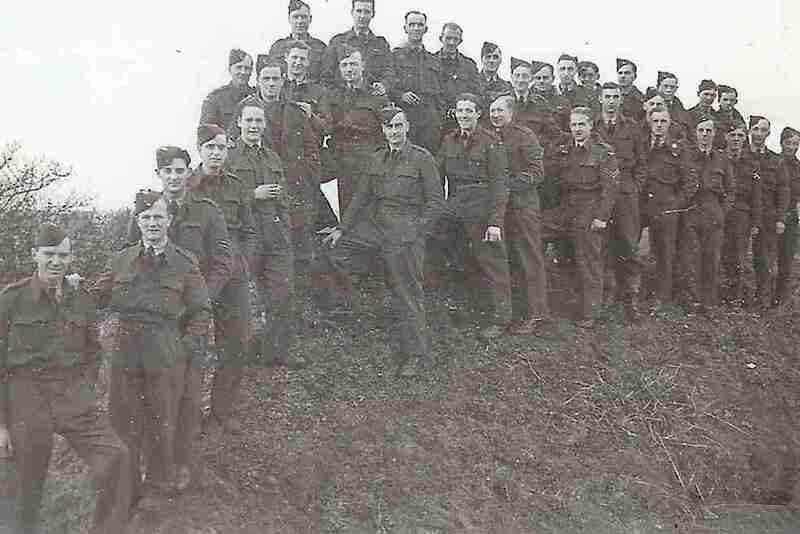 Another photo from Muir Adair’s collection, this was taken in late 1944. My father, Bill Wiseman, went into Normandy – I believe on DDay +3 – and set up an airfield. He was certainly part of 15082 according to his Air Ministry Form. I think he was F/Lt at this point. I believe he passed through Grandcamp, Issigny and St Lo, and eventually reached Paris at the Liberation. 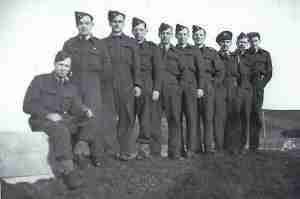 He served in 68 Squadron. If anyone has any reminiscence, records or information, my family and I would be very grateful to know. Thank you. For those who may be decendents of the Senior Non Commissioned Officers above, the following corrections should be made. F/Sgt Muir Adair Sgt. Bill Simpson Sgt. Tom Spears Sgt. George ?? ?